Newly Remodeled! Check out our new pictures! Ski To Condo Walk To Main Street! This condo is located two short blocks up the mountainside from Old Historic Main Street (where all the shops and restaurants are). It is a true ski in ski out to Park City Mountain Resort via the stairs across the street which ascend up and land you on Quit'N Time for quick access to Park City Mountain Resort via Town Lift. Description: You enter the unit into the open living room and kitchen space. 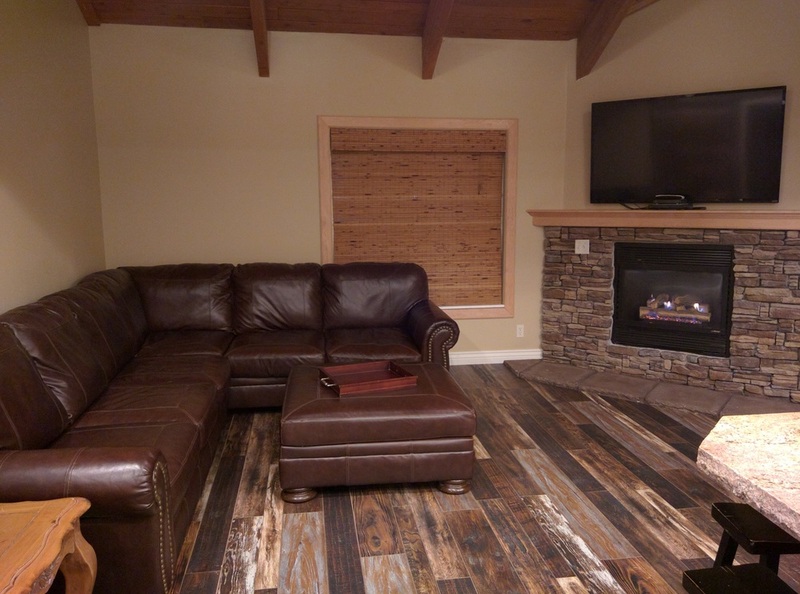 The living room has just been remodeled with new hardwood flooring and new carpet throughout the entire unit. The living room has a leather sectional, vaulted ceiling, and 60" flat screen TV mounted above the cobblestone gas fireplace with hearth. 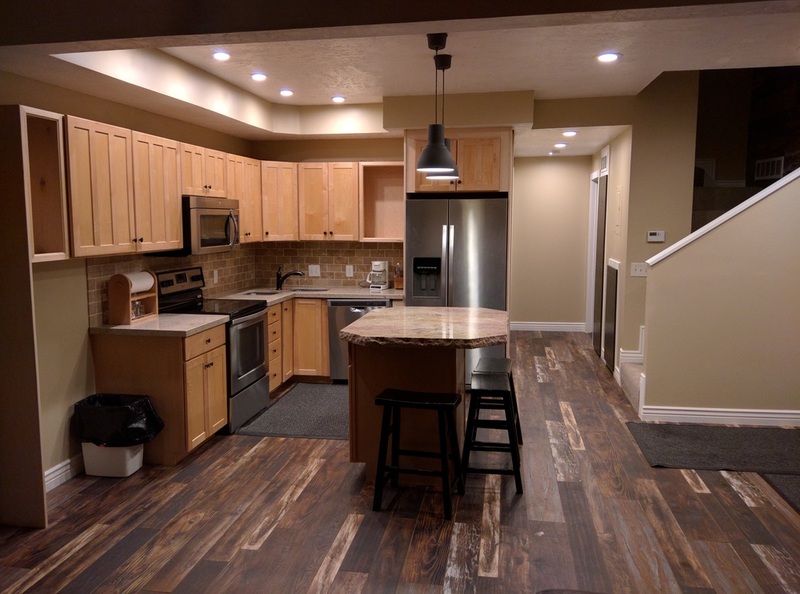 The kitchen has beautiful cabinets and is complete with new stainless steel appliances, granite countertops, dishes, pots, cooking utensils, etc.. Between the living room and the main floor bedrooms there is a full bathroom with large vanity, toilet, and tub/shower combo. There is a master bedroom on the main floor with a king sized four-poster bed and attached bathroom with jetted tub and shower combo. Also attached to the master is an outside balcony that overlooks Old Main St. There is a second bedroom on the main floor located across the hall from the master bedroom with a twin over full bunk bed and which also has a door to the balcony overlooking Main Street. Upstairs is a second master bedroom with a queen bed, flat screen TV, and attached full bathroom. There is also a second bedroom upstairs with a queen bed and flat screen TV. Both bedrooms upstairs have large skylights which let loads of natural light into the space. Linens are complete for bed, bath and kitchen. The building houses 10 units. 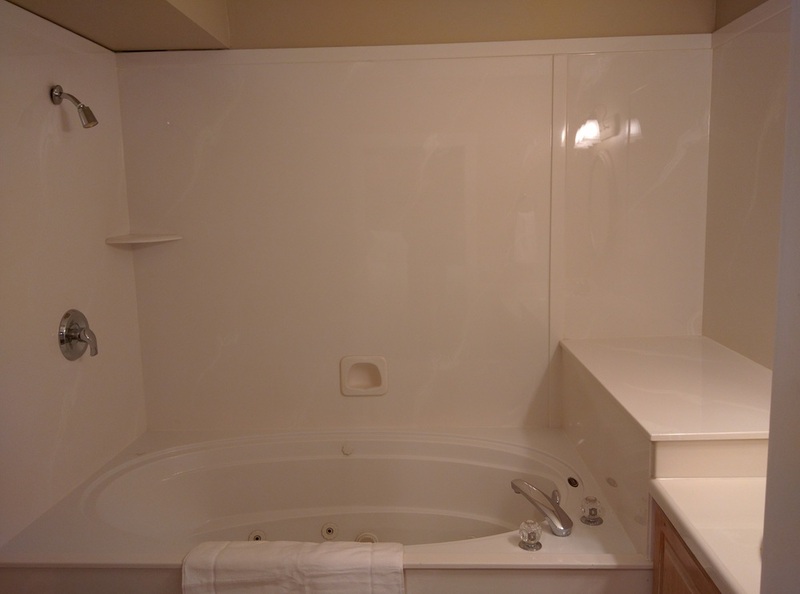 They share a common area that has a great hot tub (available Thanksgiving through end of ski season only), exercise equipment, and washing machine & dryer. Great unit.... Great location.... Great price!!! Discount lift tickets available at Park City and the Canyons when you rent. Also ski rental packages through Zermatt Adventure Haus, delivered to your unit before you arrive, and picked up after you leave. No waiting in lines! Note: a $200 cleaning fee and a 11.45% nightly room and sales tax is added to each rental.